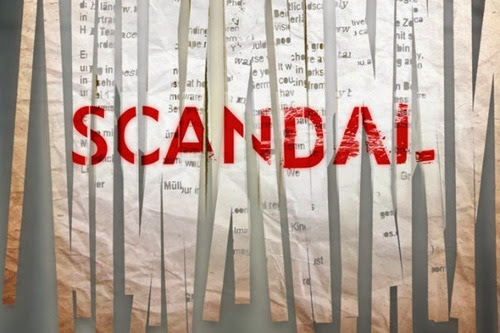 Welcome back to Scandal Sunday! 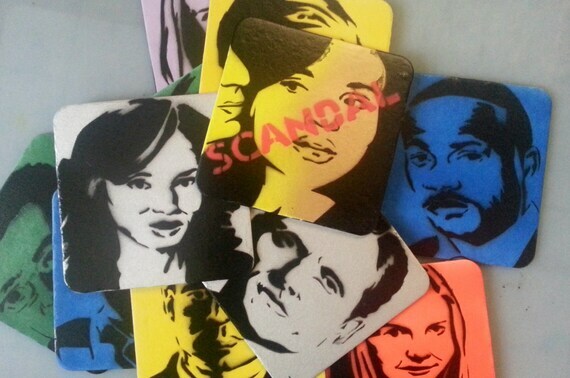 Do you have a Scandal fan in your life? 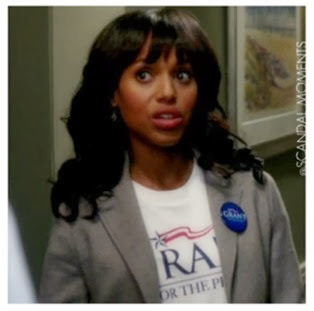 (Hint: Scandal fandom members are known as Gladiators!) 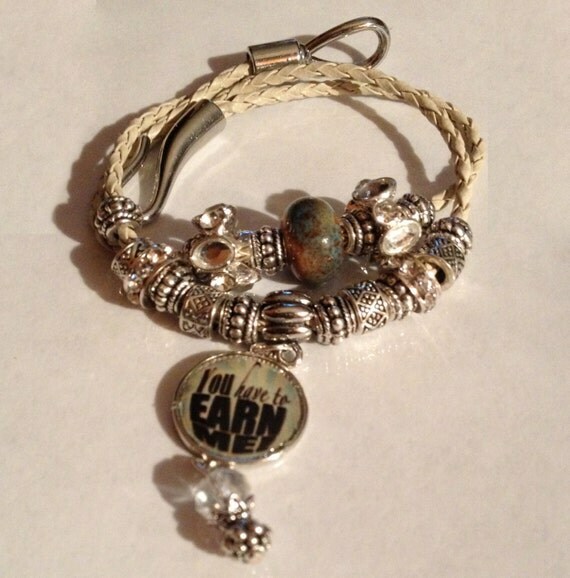 If so, or if you are one yourself, here are some awesome gift ideas related to the show! 1. Obviously your first choice should be Scandal on DVD, if your Gladiator doesn’t own it yet! 2. 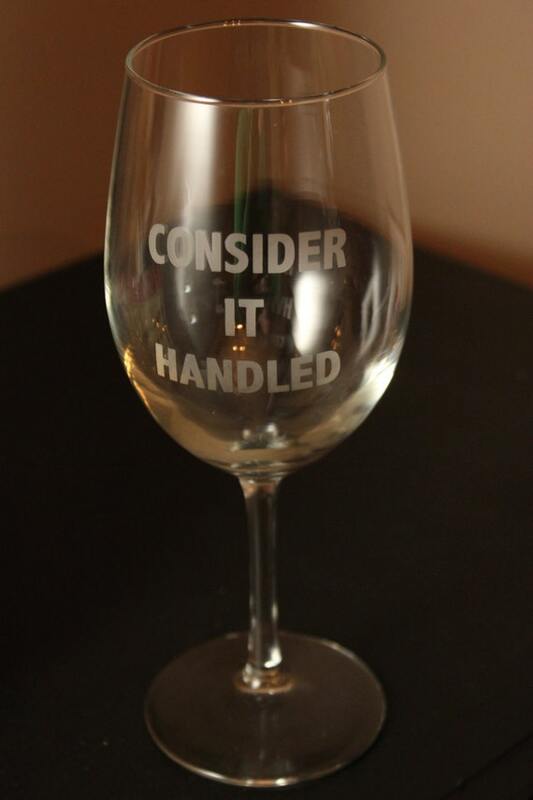 Another obvious gift would be a wine glass like the one Olivia drinks from on the show. The glass is the Camille 23 oz. Red Wine Glass from Crate and Barrel – and are unavailable until possibly March! 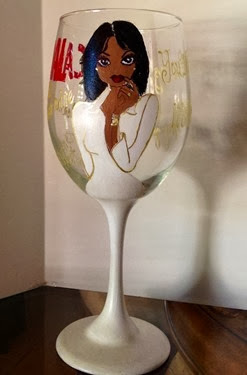 Well, check this out – Etsy Shop SugarLumpCreations has an Olivia Pope Party Wine Glass for $25! Or you could just put together a package with a nice bottle of wine and some popcorn – Olivia loves to eat popcorn with her wine! 3. Speaking of Olivia, anything she wears on the show is a good bet as a gift – but most of the fashions she wears cost upwards of $1000! One of my favorites is the houndstooth coat she wears in episode 308. Hers is by Dior. I found a similar look via modcloth for $100 – but I have to say I like the real one better! 4. Olivia carries a Prada handbag. Actually she has 5 of them. The Glace Calf Twin Pocket Tote Bag is available at Neiman Marcus. And yes it costs $2200. 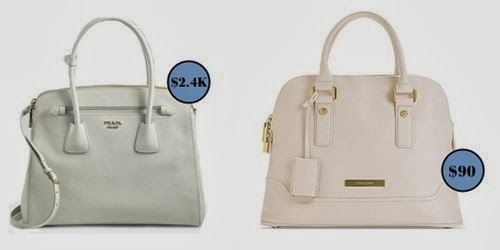 The Washingonian suggests a similar bag from 6pm – The Ivanka Trump Ava Satchel is only $90! 5. Another signature accessory of Olivia’s is her Movado watch. Apparently the Movado Concerto Watch has been renamed the “Olivia Pope Movado Concerto Watch.” Cheaper version right here from Fossil! 6. Since I’m more of a casual fashion person myself (I’d never carry a $2000 handbag! 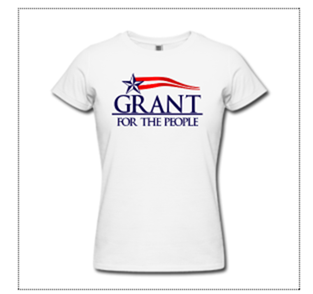 ), I would love to receive a “Grant For The People” t-shirt, like Olivia wore on the campaign trail. Apparently, these t-shirts were sold at one point, but as of right now, they aren’t available. Maybe someone could create a t-shirt with this design – I love it! 7. 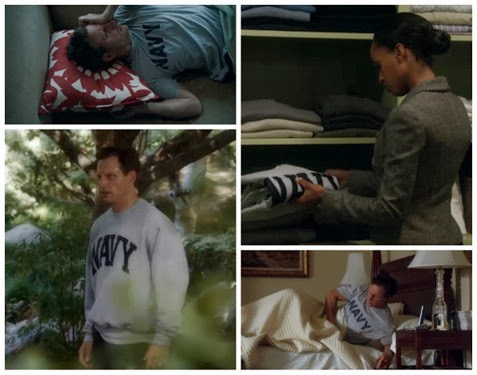 You could also go with an easier to find t-shirt idea – Fitz’s Navy t-shirt (or sweatshirt). 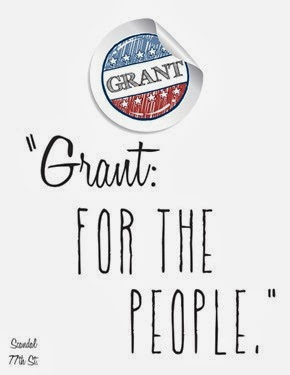 It apparently has a special meaning, as Shonda Rimes recently tweeted that there will be a story revealed behind its significance (other than the fact that Fitz wore it while running / sleeping and reminds Olivia of him?). You can purchase the t-shirt right here. 9. 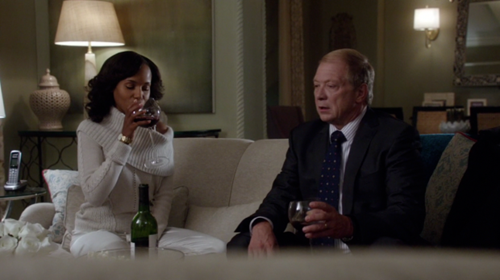 Scandal has some awesome music featured in its many moving scenes. 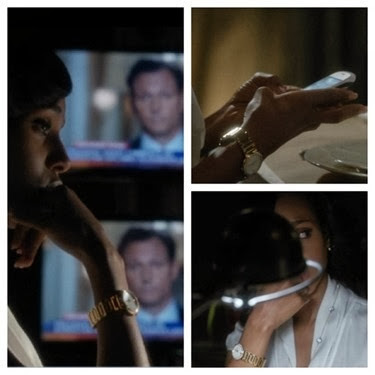 My favorite is the lovely instrumental piece played during some of the intense moments between Olivia and Fitz. The song is called The Light by the Album Leaf and appears on their album Into The Blue Again. There is also a CD called Songs From Scandal: Music for Gladiators which would be a good choice! What do you think? See anything you’d like to receive? 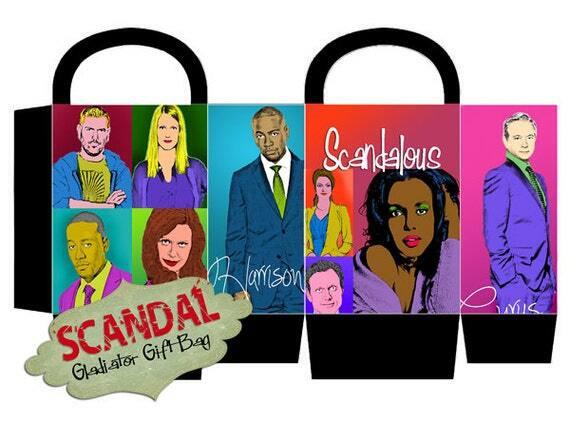 Any other Scandal related gift ideas for me?